You have finally lost the extra weight! Whoa, congratulations! Now, it is all an easy ride right? Not really; wondering why? It’s just that when you look in the mirror and stare at a new and improved version of you, you also notice that you have loose skin all over. Don’t you just wish you knew the remedies of how to tighten loose skin, after your drastic weight loss transformation? And you thought it was all a bed of roses after your weight loss success story! Such is life; but you needn’t be all down in the dumps, you can lose the weight and tighten skin after weight loss too, basically straddle thew best of both worlds. I know, skin tightening isn’t a cake walk. I have walked through that alley and it isn’t all that easy, but hey you can get that envious figure you always wanted with a few quick and easy steps. The good news is that skin is incredibly elastic. As you stretch, your skin stretches too, and as you grow, so does your skin. So, if you lose a lot of weight in a very short time, it can only mean one thing, you will be left with excess flabby skin. But the largest organ of your body does return to its original shape. Not in a day though, it could take as long as two years to return back to its original position. Add to that age, smoking, dehydration and genetics, which all play a role in either delaying that or quickening the process. So, you have to play a role as well and hasten it. The following tips and tricks can help you get there. I know, this sounds all too easy, but it probably isn’t; especially when you are on a weight loss program, which is when it is not completely in your control. It sounds very cool when they put up banners claiming that they can help you lose 10 kgs in one month, but hear me out, it is a sheer recipe for disaster. Don’t aim for quick fixes, the weight invariably comes back and it completely damages your skin. Opt for a weight loss routine that will help you shed the weight gradually. This helps your skin to cope and the skin sagging is not much. So, you are in no race to lose that extra weight, reach that goal slowly and steadily. Extreme dieting is also a big no-no, the more you diet, the more fat you lose, and along with that you end up losing muscle too. Extreme dieting sometimes make you feel depressed as you lose the extra fat, but you still don’t feel good about your body, as you are supposed to. Also, the loose skin reminds you that you haven’t quite reached where you want to be. Most people who undergo extreme weight loss transformations are left with flaps in their arms and bellies. The only way your skin gets back its elasticity is through the gradual weight loss process. 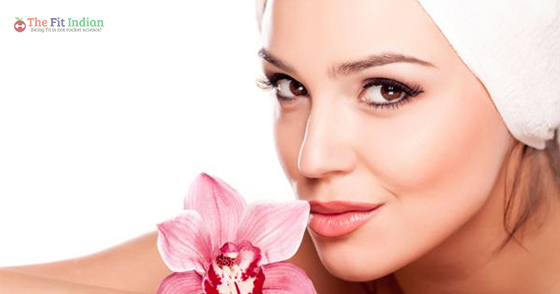 There are two important skin components that keeps your skin healthy and plump, they are elastin and collagen. Don’t ever go for crash-dieting, instead go for foods that will provide adequate nutrients to your body. You are in luck, for a few of the weight-loss friendly foods are also great for your skin. 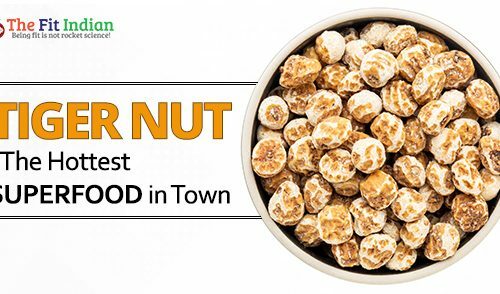 Eat protein-rich foods, such as tofu, beans, milk, fish, cottage cheese, milk, seeds, and nuts. Also, when in doubt, just add more fruits and veggies to your diet. After you have lost all the extra weight, you are surely not going back to your unhealthy eating ways. So, add more fruits and veggies to your diet, especially those containing carotenoids such as sweet potatoes, carrots, dark leafy greens, and tomatoes. These foods have a great effect on the skin appearance and you will notice a difference within six weeks. Are you drinking enough water? As you are cranking up your exercise routine, you need to up your water intake too. This will keep you hydrated at all times and hydrated skin is healthy and elastic as well. Also, you tend to perspire a lot when you exercise. So, the only way you can compensate for the water loss and keep your skin healthy, smooth and happy is through water. You can add more foods to your diet that are high on water content, this automatically increases your water intake. One of the after-effects of a weight loss program is getting stretch marks and sagging skin, as the skin undergoes changes. Stretch marks are generally dry and itchy, and the more you scratch them, the more visible you get. Invest in a good-quality vitamin E-enriched moisturizer. These have collagen-boosting qualities that help maintain your skin elasticity. Also, a good moisturizer keeps wrinkles at bay. You can use natural products that contain aloe vera, shea butter, argan oil and soy protein, this also helps improve the collagen quotient of your skin. Add the following products to your beauty cabinet to keep your skin moisturizing game on point. Our daily diets do not contain this skin-friendly component and hence we have to get it from other sources. A study conducted at Stanford University came up with the results that supplementing your diet with 250 milligrams of gelatin can improve your skin elasticity to a large extent. The same study also said combining borage seed oil with gelatin helps improve the skin elasticity even more. Collagen is said to improve joint pain, but nowadays it is also being used to treat aging skin. A German study found out that adding 2.5 to 5 grams of hydrolyzed collagen had a remarkable effect on skin elasticity after eight weeks. Scrubbing or dry brushing is the new skin fad doing the rounds, and not without good reason. The scrubbing action encourages blood flow and thus boosts your skin’s elasticity and health. 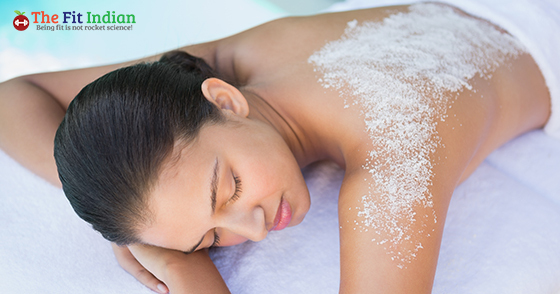 Instead of buying ready-made store-bought scrubs, you can opt for natural scrubs such as sea salt. Sea salt, in fact, is highly recommended by skin specialists and they claim that it improves proper blood circulation, and helps tighten skin after weight loss. Try mineral scrubs and use them twice a day for great results. Dry brushing is another process that stimulates the nervous and lymphatic systems and hormonal glands in your body. It also relieves your kidneys of stress. As blood flow increases, your skin releases toxins and tightens up. As the good skin doctor ordered, spa treatments are not only a great way to relax, but also one of the natural remedies for tightening skin after weight loss. Treat yourself to body wraps at your nearest spa to rejuvenate your senses and improve your skin’s elasticity too. 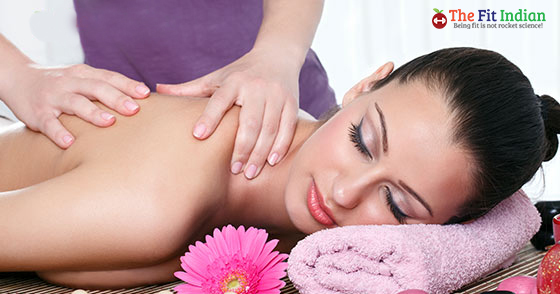 Massages are a great way to promote blood flow and improve skin’s elasticity. Use seaweed as a chief component as it detoxifies your body and improves the suppleness. When you lose weight, you not only end up losing fat but also muscles. That is why doing an insane amount of cardio may help you lose weight quickly, but it also gives you way too much loose skin. Weight training is a great way to tighten and tone up loose skin and build lean muscle mass after weight loss. Weight loss not only helps to reduce fat in the body but also leads to loss of lean muscle mass. It helps target the layer of muscles right below the fat, which gets affected by weight loss. Try and include strength training at least twice a week. You can start with your own body weight, and gradually when you grow stronger you can include machines or free weights. Strength training complements your weight loss regimen. It gives a tighter and smoother appearance to your skin. You can also replace the fat of your body with lean muscles, thus helping reduce the fat percentage of your body. A higher muscle to fat ratio ensures you have less skin sagging and you will burn more calories, losing weight in the process. Since weight training is one of the best ways to tighten skin after weight loss, you should opt for exercises that can help target specific areas. This helps tighten your skin, helping target areas with maximum loose skin. For example, when you want to tighten the loose skin under your arms, you can try overhead stretches or dumbbell exercises. To target your legs, go for exercises such as jumping jacks, squats, leg lifts or cycling. Try squats and lunges not only to work on your legs but to also help work on your abs. Yoga is one of the oldest and most holistic techniques to tone up and tighten loose skin after weight loss naturally. Yoga helps you lose weight as it helps reduce stress to a great extent. There are targeted postures that help work on specific body parts which not only tone that part but strengthen it too, to a great extent. With yoga, you can finally say hello to firm and toned skin. Spend quality time in pampering your skin. While exfoliation and spa treatments go a long way in keeping your skin fit and fine, they also help tighten up loose skin. Don’t forget to slather copious amounts of sunscreen when you venture out of your home, limiting your sun exposure. This ensures that your skin stays firm, young and supple for years together. Also, protect your skin from continuous exposure to very hot or chlorinated water, and choose organic gentle products for your skin. These products are sulfate-free and form a protective shield for your skin. Lastly, you have lost a lot of weight; give yourself a big pat on your back for that instead of wallowing in self-pity. Don’t worry, your skin will snap back out of it, literally, and get back to its former glory in time. 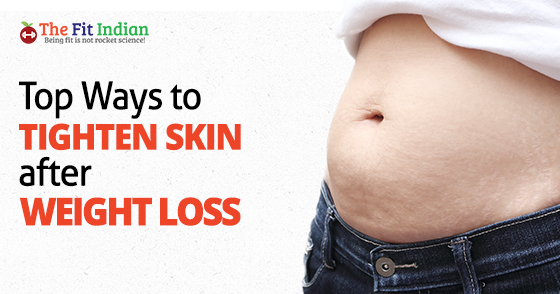 And oh yes, don’t forget to follow the above-mentioned home remedies for skin tightening after weight loss. Just be patient and kind to your body and your skin will thank you for it in a few months’ time.